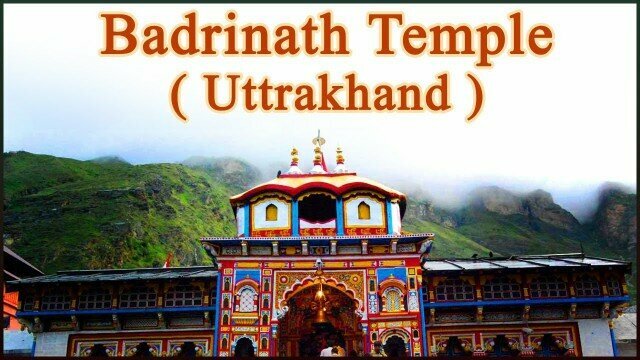 Watch the spiritual video of the Temple Badrinath situated in Dehradun in Uttrakhand. Badrinath is a place sacred to Vishnu particularly in Vishnus dual form of Nara Narayana. One legend has it that when the goddess Ganga was requested to descend to earth to help suffering humanity the earth was unable to withstand the force of her descent. Therefore the mighty Ganga was split into twelve holy channels with Alaknanda one of them. Subscribe to take the memorable Indian Temple Tours at http://www.youtube.com/subscription_center?add_user=thedivineindia. Visit the ancient spiritual Indian temples and check out all tour videos here http://www.youtube.com/thedivineindia SUBSCRIBE! Like, Comment and Share this video with everyone you love.